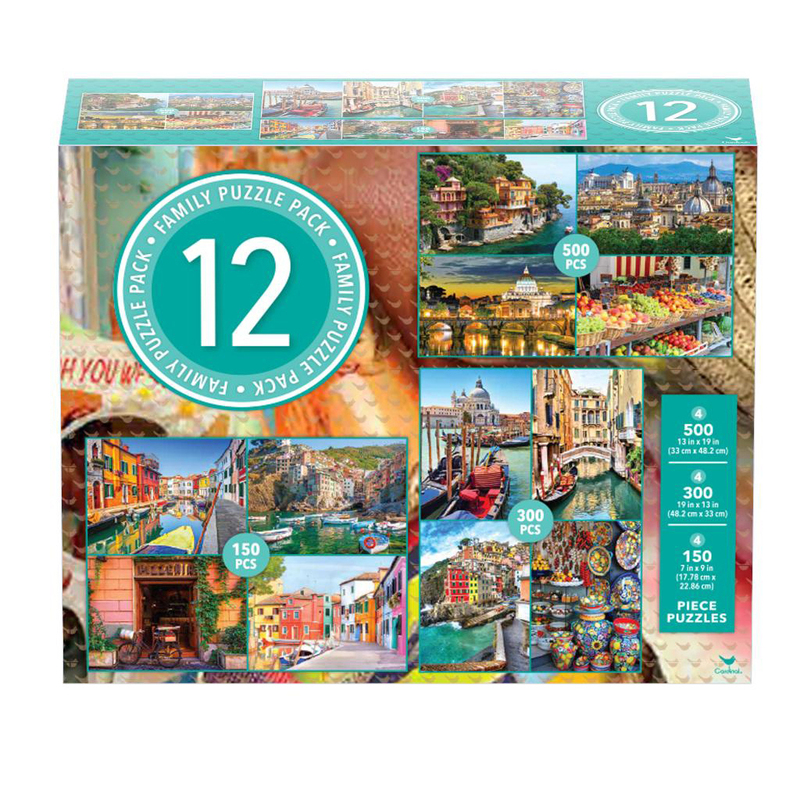 Featuring a variety of beautiful photographs from Italy, this 12-pack puzzle set is sure to be a hit with people of all ages. There are a variety of sizes and difficulty levels, allowing everyone in the family to take advantage of this premium puzzle set. This set includes four 500-piece puzzles that measure 13" x 19"when complete, four 300-piece puzzles that measure 13" x 19" when complete, and four 150-piece puzzles that measure 7" x 9" when complete. Images may vary.